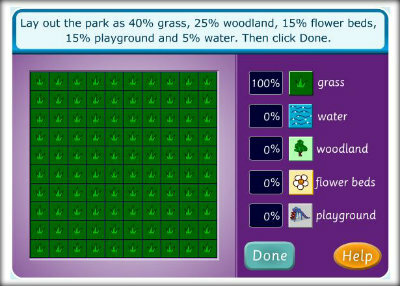 Click on the links below to play games designed to help you improve your knowledge and understanding of percentage, and how it is linked to fractions and decimals. All of the links will take you to percentage games on other websites. None of the games have been created by Primary Facts. Calculating Money-Off Discounts (by BGFL) – Calculate how much you’ll have to pay for a product after it’s been discounted by different percentages. Penguin Waiter (by FunBrain) – Work out percentages of amounts to calculate the size of the tip you need to leave for a meal. 4 different difficulty levels. 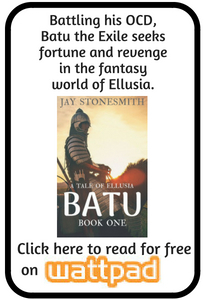 (This is from a US site, so the amounts are in $ and not £). Percentage Space Invaders (by Math Playground) – Calculate percentages of numbers before the invaders take over the planet. Lots of different settings to adjust the difficulty level. 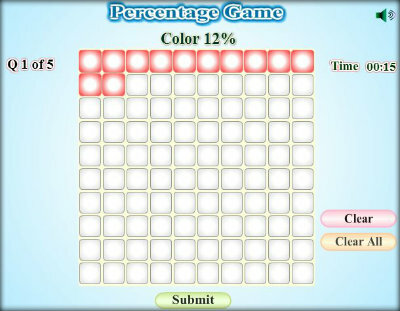 Percentage Colouring (by Soft Schools) – Shade in squares on a hundred grid to match different percentages. Toy Sale (by Math Playground) – Use your knowledge of percentages to calculate the new prices of toys in Troy’s Toy Store after they have been reduced by different percentages. Two difficulty levels. (This is from a US site, so values are in $ not £). 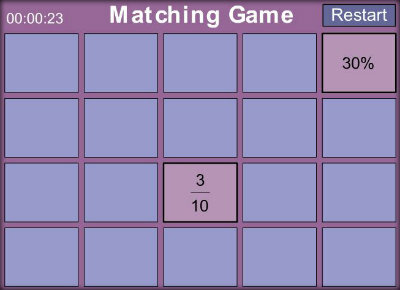 Percentage and Fraction Match (by Math Playground) – Use your knowledge of equivalent fractions and percentages to find matching pairs against the clock. 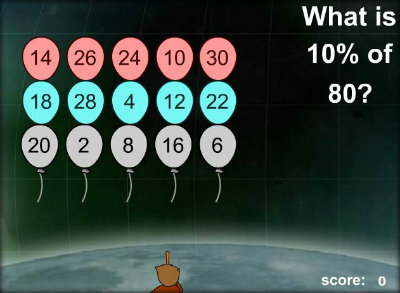 Mission Magnetite (by PBS Kids) – Match fractions, percentages and shaded-shapes using your knowledge of equivalency. Percentage Shoot (by Helping With Math) – Match equivalent percentages and fractions by shooting targets.